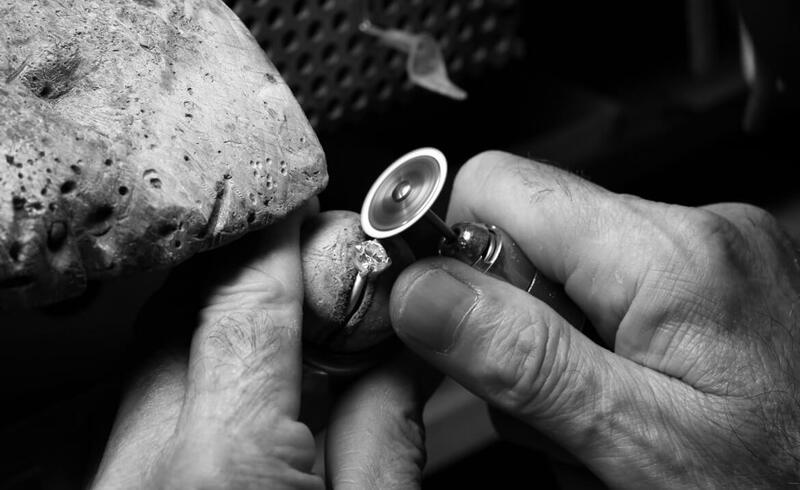 Each Forevermark diamond carries a promise of its own - beautiful, rare and responsibly sourced. 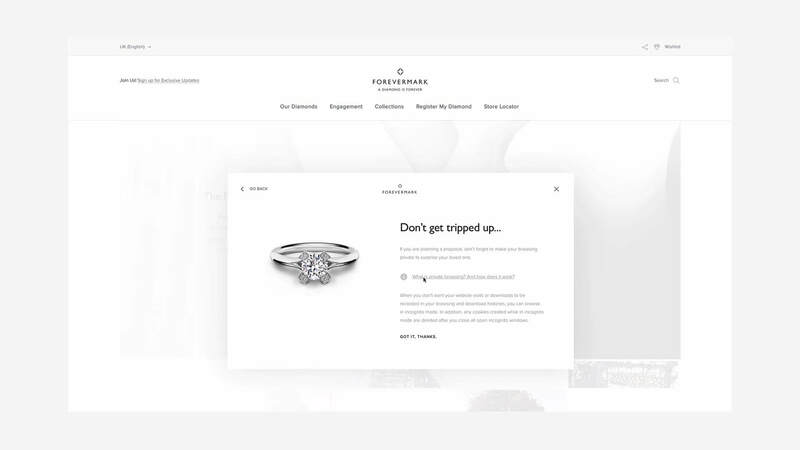 We pitched a CRM vision and strategy that encompassed The Forevermark Promise. Each Forevermark diamond is inscribed with a unique ID number to show that it has been preciously cared for throughout its journey. 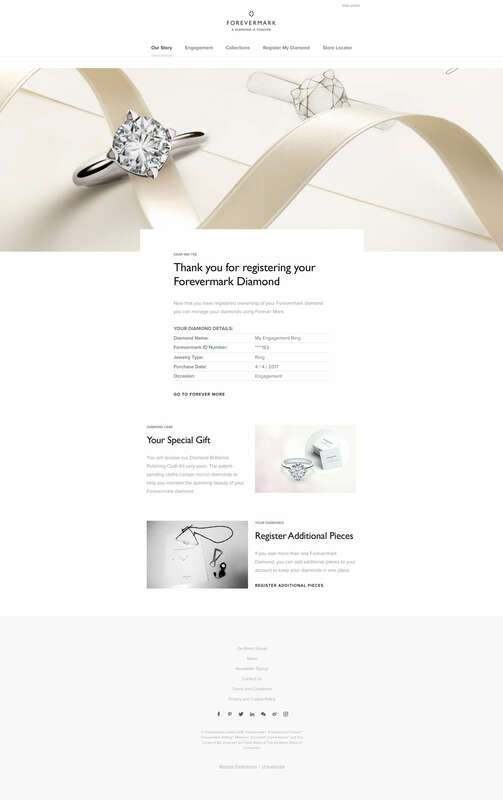 Registering your Forevermark diamond makes it exclusively yours and allows access to your diamond’s details at any moment. To help our vision come to life, we told the story of a recently engaged couple living in the United States. The couple had sealed their engagement with a Forevermark ring. It was now up to the bride-to-be to register her Forevermark diamond. The ‘Register my Diamond’ user journey required web pages, email communications, direct mail and social interactions. The pitch ran over a two week period from concept through to final designs, prototypes and presentation. 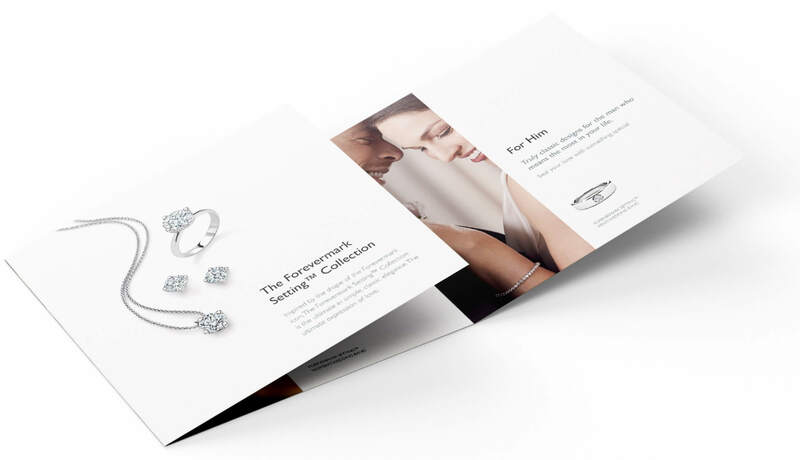 A direct mail piece is sent to customers who have spent over a certain threshold in the Forevermark Engagement range. The direct mail arrives 7 days before an email counterpart (below) is sent with links to the Forevermark website. 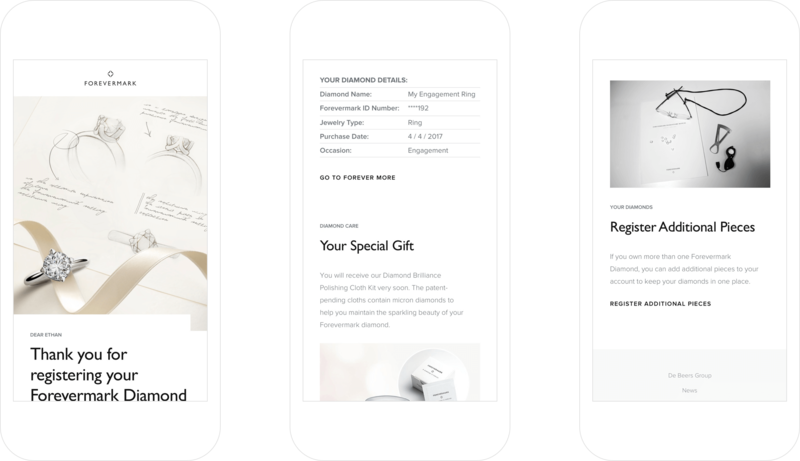 The content in both the direct mail and the email is based around finding the perfect wedding ring to compliment an existing engagement ring and a wedding band for each of the couple. Animated 360º product shots were used to add an extra level of detail to the product description. All work is property of Amaze Ltd and Forevermark.